Bifocal contacts were the first vision correction option launched to provide a solution for near and far prescription powers. 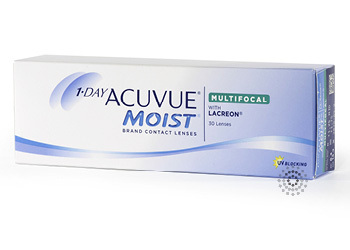 Multifocals were more recently launched and, when successfully fitted, provide the contact lens wearer vision correction for the distance, intermediate and near (or reading) fields as required for comfortable overall vision. Both options free wearers from being obliged to transition into eyeglasses or half eyes as their only vision correction option as they get older.